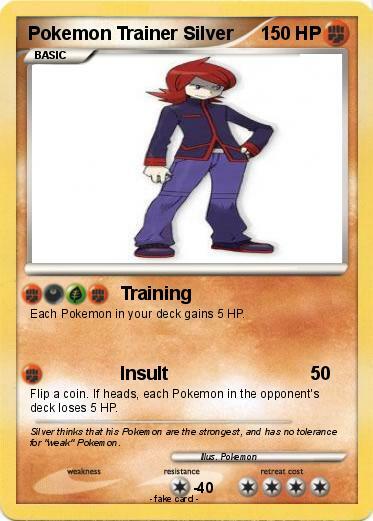 Each Pokemon in your deck gains 5 HP. Flip a coin. If heads, each Pokemon in the opponent's deck loses 5 HP. Comments : Silver thinks that his Pokemon are the strongest, and has no tolerance for "weak" Pokemon.